Hi there and happy first Friday of fall! 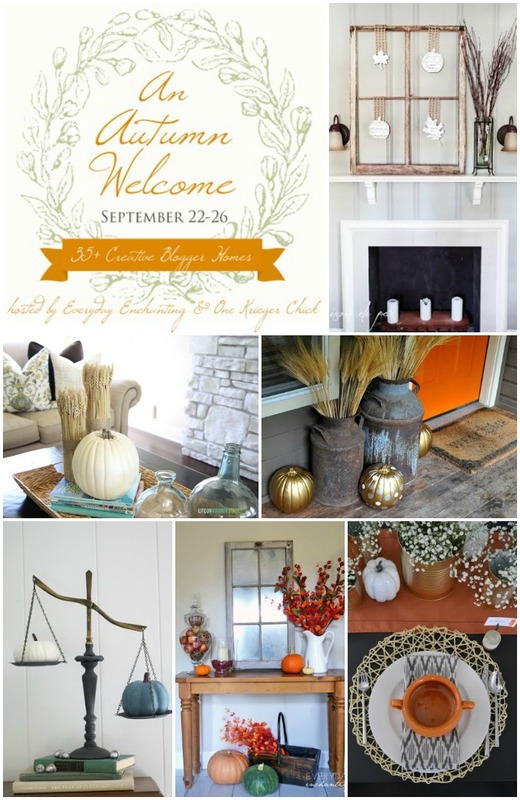 I am so happy to be part of the “Autumn Welcome” fall tour of homes this week, where I have joined with 35 other bloggers to show our fall homes. If you are new here, welcome! If you are here often, so glad you joined me today! As I officially welcomed fall this week, I couldn’t help but reflect on our summer. Such wonderful memories! It really made me stop and think about all of the blessings in my life. With each change of season, I am reminded how quickly time is passing. It feels as though I was just anticipating summer and the arrival of our precious baby boy. Now that fall has arrived, it is a reminder of how quickly the boys are growing up. So as we head into this new season, I have vowed to keep things really simple. But this time of year can also bring so much stress. So I am making a conscious effort to savor the days. Say no to invitations and obligations. Focus on what is most important. This year, I am not making a fall bucket list. And I probably won’t make a winter one either. Don’t get me wrong, I love the concept and have even done them in the past. But I am keeping it simple. Giving myself grace. Because what every mom needs is grace. Grace to slow down. Grace to accept the messes. When the boys are older, I have oodles of fall day trips I want to experience with them. Sure, we may hit up a few fun outings this year, but I am not going to stress about it. I am giving myself grace this fall and holiday season. 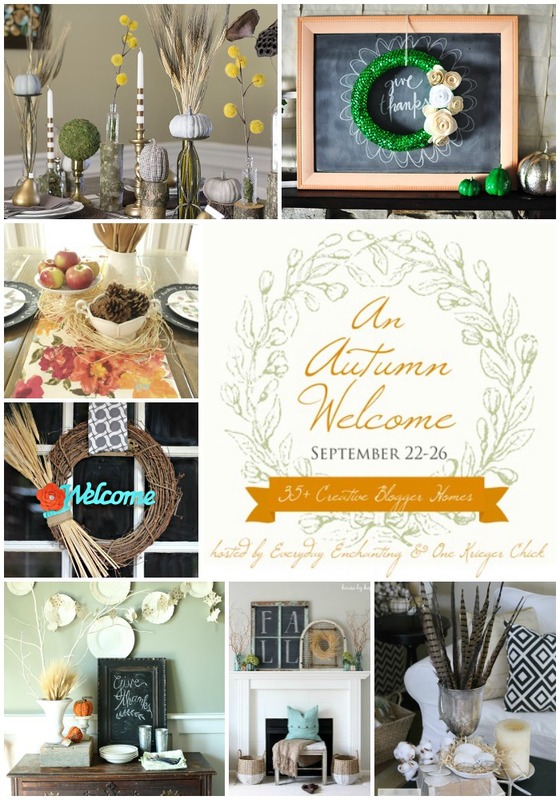 Thanks for joining me in my Fall Home, for tons of fall inspiration, here are links to 35 other blogs that are chock-ful-of awesome ideas! Beautiful! I just saw your feature at Rhoda's blog and I love your style. Your home is beautiful. You are a very wise young mother. I know this because I possibly am old enough to be your grandmother. LOL. Giving yourself grace and being good to yourself is the best thing you can for your children. Unfortunately, I still have not mastered that. At my doctor's visit yesterday my doctor told me that very thing. Her parting words were "be good to yourself". You have a beautiful home. And your puppy's cute, too! Found you through Southern Hospitality. Your home is beautiful! You are wise to forget the bucket list for now. Just enjoy the journey because it will be quick. Those boys will be grown in the blink of an eye. There will be plenty of time for house fluffing, projects, and day trips later on! Your home his beautiful! Love your dog too! Gorgeous Heather! So warm and inviting. Love all the pops of color along with the blue and white. I got away from the blue and white a few years back, but really would love to incorporate it back into our home. And yes, savor this time with the boys. They do grow quickly. You are so right about giving yourself some grace, that is something we all should do. Your fall decor is beautiful and I love the table setting. Gorgeous Heather! 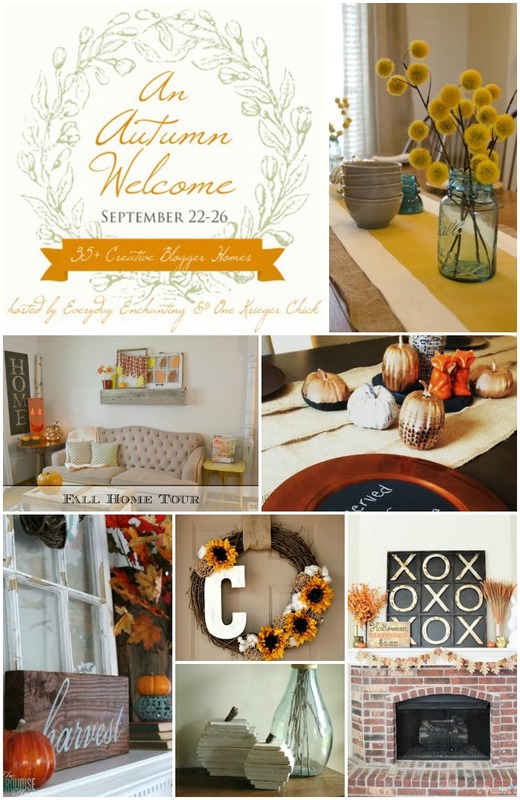 I love love love your fall dining table! Such a great mix! 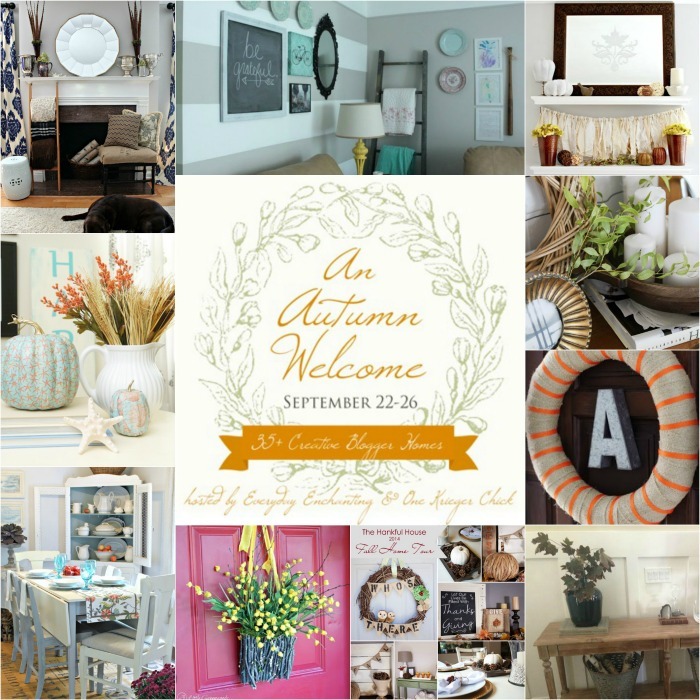 I just found your blog and love your home! Would you mind sharing where you got your subway sign? I have found a similarly framed one about that size (26" X 55") featuring UGA in Athens, but am wondering if there is another vender I could search to compare prices. I have a similar spot for it in my home on what we call "the wall of death". (It's a huge expanse). I wish I could just clone your room.